India’s leading vegan Omega-3 DHA supplement. OVEGHA offers 400mg of pure vegetarian Omega-3 DHA per serving, and is registered by the the Vegan Society – UK, and is appropriate for Vegans. OVEGHA offers you pure, unadulterated, non-GMO, natural fermented vegan omega-3 DHA that is free of ocean borne contaminants and is 100% natural. 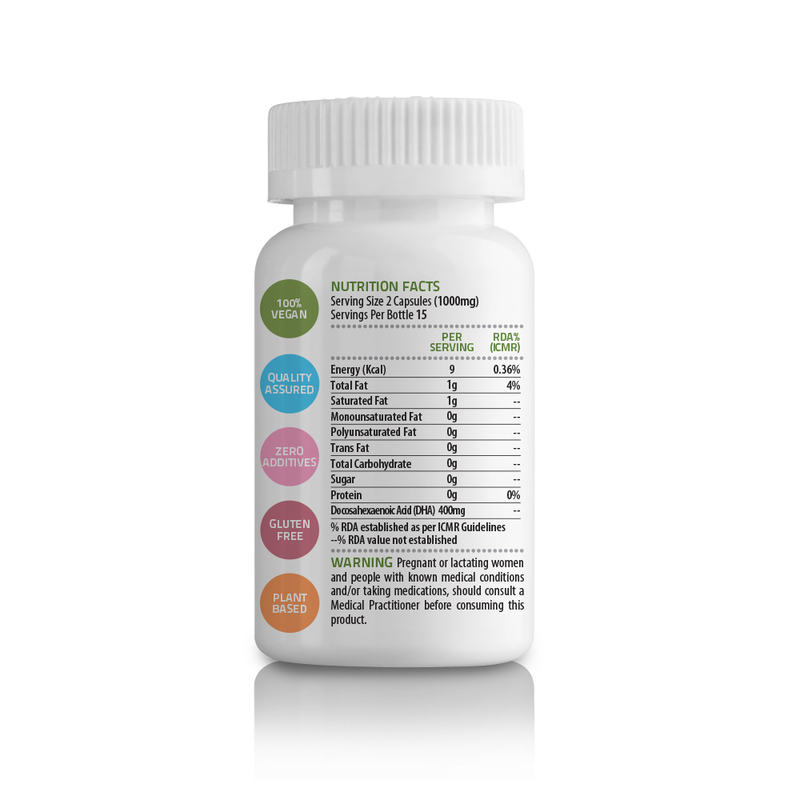 Each serving of OVEGHA contains 400mg vegan omega-3 DHA. 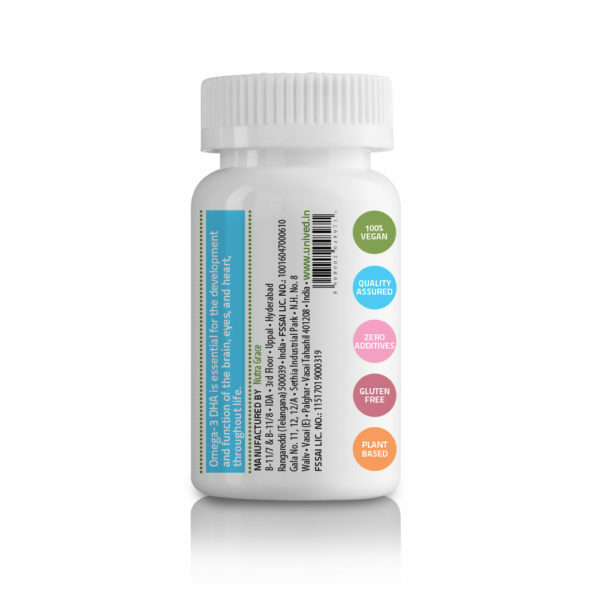 Current research suggests children must consume 200mg DHA per day, and adults must consume over 350mg DHA per day. 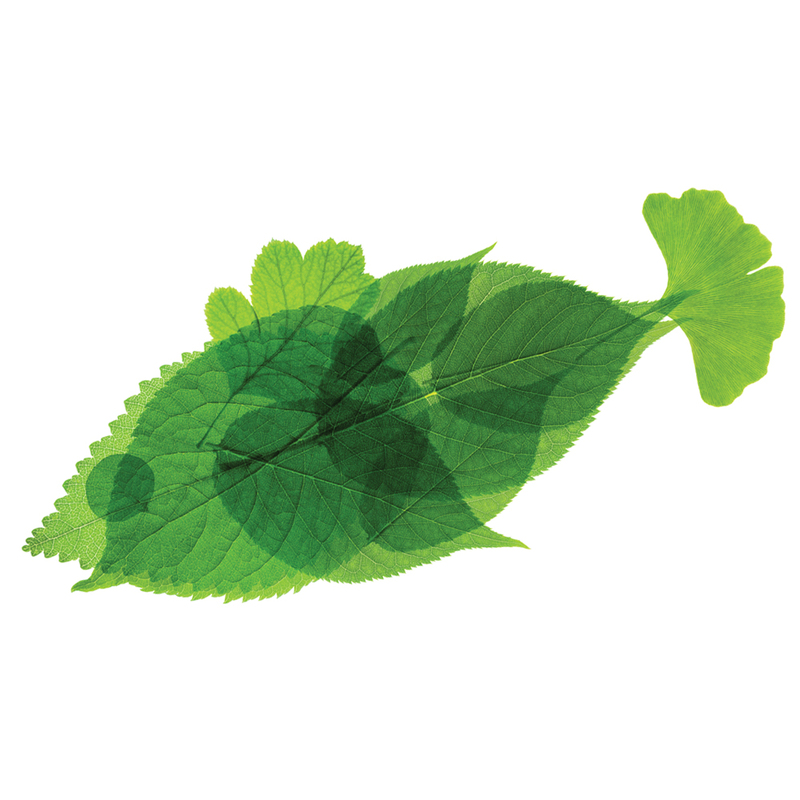 OVEGHA is inspired by the lifelong, encompassing nutritional value of DHA through life. Right from the time a baby takes form in the mother’s womb to the time an individual grapples with the travails of old age, DHA supports the development and functionality of the brain and eyes and protects the heart. DHA is a highly recommended nutrient by health authorities the world over. A wealth of research conducted over the last thirty years points to the importance of vegan omega-3 DHA for healthy heart, eye and brain function. Most people believe that the richest source of omega-3 DHA is fish oil. This is a myth. Fish; do not produce omega-3 DHA. Micro-algae is the world’s richest and only primary source of omega-3 DHA. It is staple food for small marine animals, who in turn are eaten by fish. Algae are the basis for the enrichment of n-3 PUFAs in the lipids of other marine organisms over the aquatic food chain. Most DHA found in the extracted fish oil preparations is derived from micro-algae consumed by the fish. Fish only get their omega-3 DHA from the micro algae in their food chain. 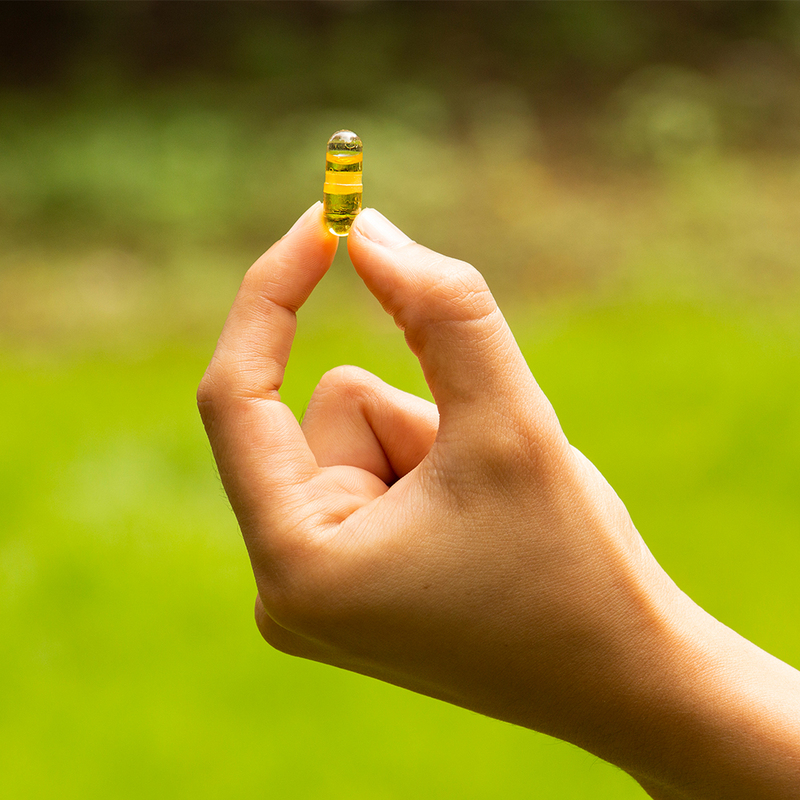 Why would you want to consume fish oil – when you can benefit from a primary and vegan source – micro-algae? Two-thirds of our fisheries are depleted. Our oceans are in a crisis. Due to the demand for fish in the food industry and fish oil in the health industry, large populations of fish are going extinct. This is not a sustainable option. In 2003, the World’s large predatory fish populations were estimated to have declined by 90% since the 1950s. We need to leave the fish where they should be – our ocean. Apart from experiencing the unpleasant taste, smell, fishy burps, you may also be subject to lead, PCBs, toxins, dioxin, mercury, arsenic, and other impurities that fish oil may contain. OVEGHA vegan omega-3 DHA is made from micro-algae that is fermented in controlled conditions, free of ocean borne contaminants, and non-GMO. There are many omega-3 DHA products in the market. Simply consuming omega-3 DHA is not enough; one must ensure that the correct amount is consumed from the correct source. Omega-3 DHA derived from micro-algae is the correct source as it is the primary source, and is pure, vegan, and free of ocean borne contaminants. 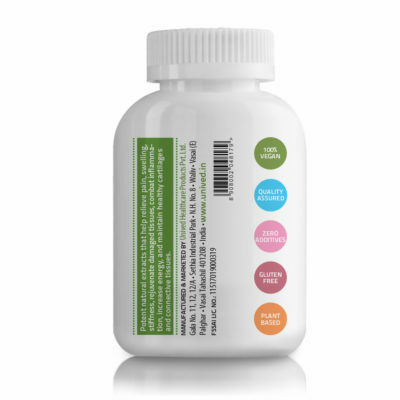 One capsule of OVEGHA delivers 200mg vegan omega-3 DHA – an adequate dose for children. 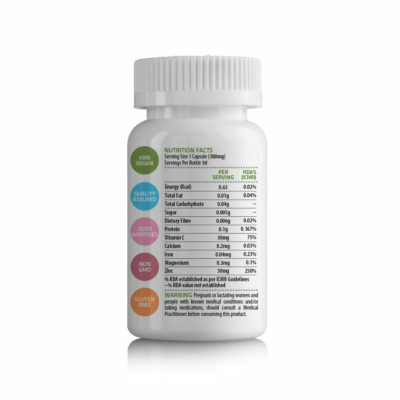 Two capsules of OVEGHA deliver 400mg of pure omega-3 DHA – an adequate dose for adults. 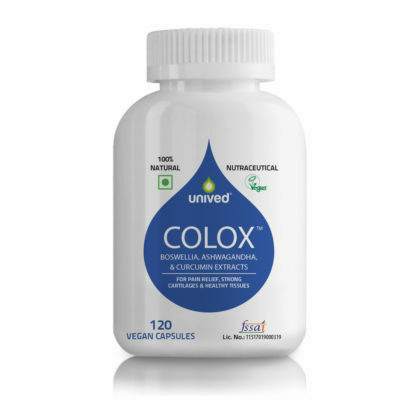 As a dietary supplement, adults take two capsules after dinner. Pregnant and nursing women may consume two capsules post dinner. An intake of 200-800mg DHA may have protective and antioxidant effects on LDL and could present optimal doses for cardiovascular disease prevention in a healthy population. We recommend taking OVEGHA at night after dinner for better absorption. Kindly consult your physician for medical advise, if you are taking any other medication or have a pre-existing condition. Omega-3 is a healthy fatty acid. The three major omega-3 fatty acids are Alpha-linolenic Acid (ALA), Eicosapentaenoic Acid (EPA), and Docosahexaenoic Acid (DHA). Adequate supplementation of omega-3 DHA has innumerable health benefits. The insistence about this nutrient prevails among health authorities around the world, including the US FDA. A voluminous quantum of research conducted over the last thirty years has expressed beyond doubt, the importance of dietary omega-3 fatty acids for healthy heart, eye and brain function. However, the decreasing consumption of this nutrient as a result of modern dietary preferences spells out an irony. Furthermore, the task of reversing this negative dietary trend has been made more difficult in recent months by public concern about fish as a possible source of toxins. You need to consume the right kind of fats in the right proportion. The modern diet is replete in saturated fats which spoil the balance of your system and leave several ailments by your bedside. The unsaturated fats on the other hand contribute to your health and enhance it. Polyunsaturated fatty acids (PUFAs) are the need of the hour and more particularly, we need them in an appropriate ratio. The presence of polyunsaturated omega-3 and omega-6 fatty acids in your body is vital to achieving optimum health and nutrition. Omega-6 fatty acids are easily available since most junk food is loaded with omega-6 fatty acids along with trans fatty acids. Most Indians consume omega-6 and omega-3 fatty acids in a ratio of 30-70:1 but the ideal ratio is 5:1 for optimal health benefits. The essential omega-3 fatty acids include ALA (Alpha-linolenic Acid), EPA (Eicosapentaenoic acid) and DHA (Docosahexaenoic Acid). ALA, a short-chain omega-3 fatty acid is found in walnuts, flax-seeds, hemp, soybeans and vegetable oils. ALA is an essential fatty acid, our body cannot synthesize it. When we consume ALA, our body has to elongate this first into EPA, then DHA, and make it a long-chain fatty acid, before it is used. It has been recognized since 1970s that the human capacity to convert ALA to EPA and EPA to DHA may be limited and subsequent studies have confirmed this. The International Society for the Study of Fatty Acids and Lipids (ISSFAL) recently released an official statement on the conversion efficiency of ALA to DHA. They concluded that the conversion of ALA to DHA is on the order of 1% in infants, and considerably lower in adults. EPA is a precursor to DHA. EPA is commonly found in fatty fish and fish oil. When consumed, EPA is converted to DHA. DHA is the most important omega-3 fatty acid. DHA constitutes up to 97% of the Omega-3 fatty acids in the brain, and up to 93% of the omega-3 fatty acids in the retina. Almost 50% of the neuronal membranes are accounted by DHA. Omega-3 DHA is also a key component of the heart. Recent studies suggest that up to 15% of the dry weight of our brain is comprised of DHA. DHA is an essential part of optimum nutrition throughout life. Supplementation of omega-3 DHA becomes even more of a pressing need, when we consider the role DHA alone plays in the human development. 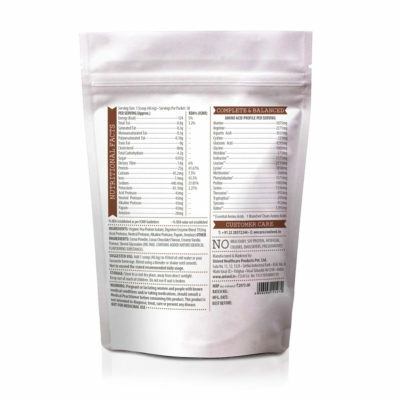 Modern humans have evolved with a staple source of preformed DHA in the diet. An important turning point in human evolution was the discovery of high-quality easily digested nutrients from coastal seafood and inland freshwater sources. A new picture is emerging which places nutrition, and DHA in particular, in an integral role in the evolution of human intelligence. From the fetus in a mother’s womb to the aged person, omega-3 DHA has nutritional relevance for an entire lifespan. Even astronauts rely on it, when on their space excursions! As part of their search for the perfect space food for astronauts, NASA scientists investigated the uses of Marine Algae and discovered algae to be a rich source of DHA. The result was a nutrient dense food that could be used not only for astronauts but for those here on earth. Maintaining healthy omega-3 DHA levels is vital for the normal development and functionality of the brain, eyes, and heart. DHA accounts for upto 97% of Omega-3 fatty acids in the brain and upto 93% of the Omega-3 fatty acids in the retina. Over 70% of a child’s brain develops in the mother’s womb. During pregnancy, infants get their DHA from their mothers’ dietary intake. 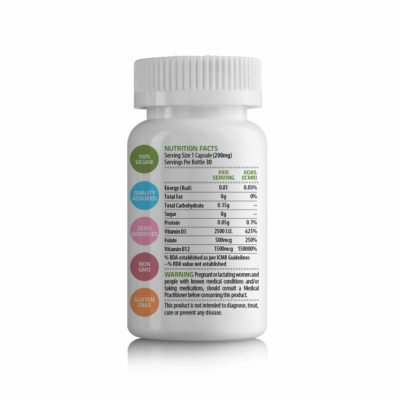 DHA supplementation supports optimal brain, eye, and nervous system development in the infant. Therefore, it is important for pregnant women to consume DHA, especially in the third trimester when there is significant brain development. Omega-3 fatty acids are structural components of cell membranes – DHA specifically accumulates in the cell membranes of the retina, brain, and nervous system. Adequate levels of DHA throughout life are important for vision and learning. Most brain growth occurs during fetal life. When a baby is born, the body weight is only 5% of an adult but the brain size is 70% of the adult brain. The central nervous system undergoes rapid growth in the first 12 months of life, and DHA content in the forebrain increases five-fold during this time. The developing baby’s only source of DHA for beginning to build brain tissue is its mother’s dietary intake. Early in life, DHA is supplied via the placenta and from breast milk. During the last trimester of pregnancy and first two years of childhood, DHA is especially important for vision and brain development. Studies have shown improved intelligence scores of breast fed children whose mothers took DHA supplements during pregnancy and nursing. DHA supplementation also reduces the risk of preterm birth – a factor known to be associated with compromised cognitive development in the infant and maternal depression. Studies have proven that children who were born with pre DHA supplementation via the mother, and have been brought up with DHA supplementation – have a higher IQ and are healthier. Most of the brain growth is completed by 5-6 years of age. The human brain increases approximately 3.5 times in this period. During this time, DHA supplementation is vital in ensuring the normal development of the brain and eyes. DHA has a h4 effect on aiding underachieving children. Children deprived of Omega-3s may have less ability to pay attention and control impulsive behavior and may be at a higher risk of depression. Adequate levels of DHA are required for proper brain and eye development and function. DHA is important for signal transmission in the brain, eye and nervous system. There were three randomized controlled trials carried out in 2009 on 229 infants. The studies concluded that 9 month old babies who were given supplemental DHA scored higher on a problem solving test as compared to babies not given DHA, suggesting that DHA may be essential for optimal cognitive development. Teenagers and adults with omega-3 deficiency may be more prone to hostility or violence. Supplements of DHA may improve memory and reaction times for healthy young people, says a new study that could ‘translate into far-reaching benefits’ . Adequate DHA supplementation reduces the risk of cardiovascular disease and sudden cardiac death. 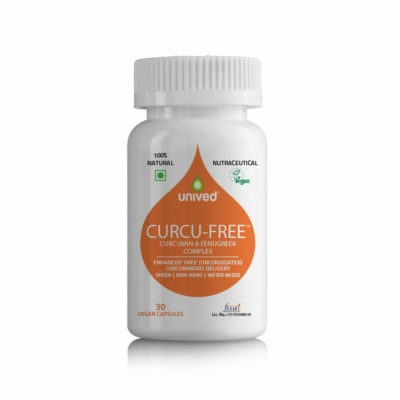 It also combats the growth of atherosclerotic plaque by reducing inflammation, improves serum lipids and increases arterial elasticity thereby lowering pulse pressure. It can significantly decrease heart rate and blood pressure. DHA also reduces the clotting ability of platelets, lowering the risk of heart attack and strokes. Due to its overall impact on cognitive health, omega-3 DHA helps compensate the decline in cognitive health. It is effective against disorders such as Alzheimer’s and Parkinson’s. Several studies have shown that most of the neurological benefits of omega-3 oils significantly reduce the incidence of Alzheimer’s disease as well as vascular dementia, and improve quality of life and memory in those affected by dementia. The best and ideal option to prevent the decline of cognitive faculties in the long term is to maintain a consistent intake of DHA throughout life. Maintaining adequate DHA intake throughout life accompanied by a diet that is rich in natural plant foods is important for preventing the late life occurrence of age-related cognitive conditions. Omega-3 supplements are most effective when taken in a preventive way. 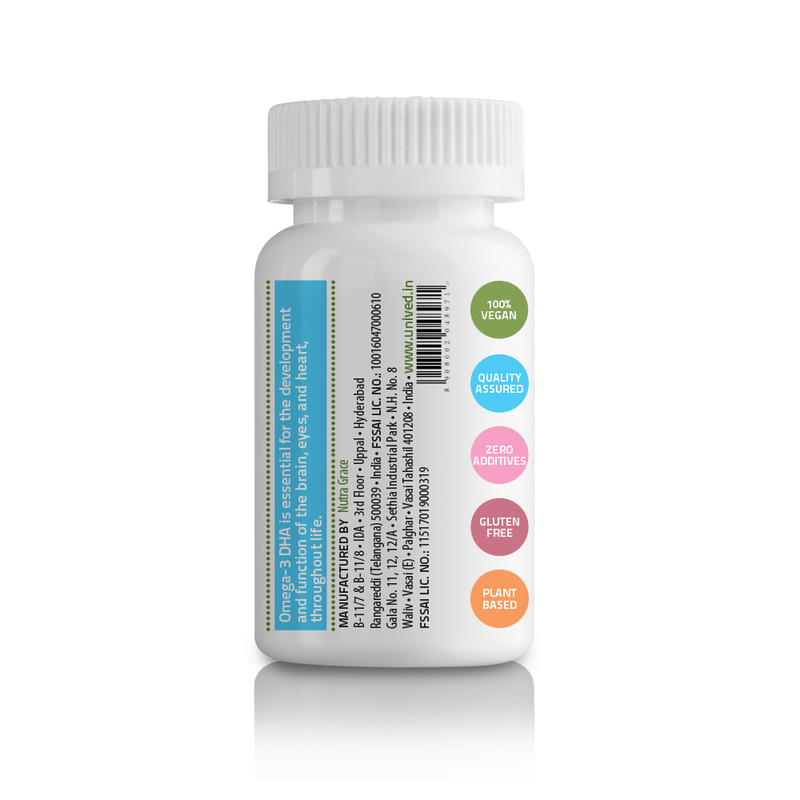 We’d say, about 400mg of DHA is what you need to save your precious moments. Low omega-3 levels, especially DHA levels, have been associated with anger and hostile reactions. DHA could be a useful weapon to reduce anxiety and panic attacks. Studies have revealed a close correlation between chronic inflammation and depression. Chronic brain inflammation has also been found in post-traumatic stress disorder and postpartum depression. It may be that omega-3 oils improve major depression, as well as number of other neuro-psychiatric disorders, by reducing brain inflammation. Vegetarian and vegan diets have been associated with markedly lower plasma phospholipid DHA fatty acid fractions. Since vegans and vegetarians do not consume fatty fish, they have low DHA levels. They may include vegetarian Omega-3 sources in their diet, such as sufficient flax, hemp, chia, walnuts, and greens. But most of those sources give you ALA which has to undergo a complex process of conversion to become DHA. Majority of vegetarian Indians who do not take DHA supplementation suffer from its deficiency. That is why OVEGHA is an excellent vegan omega-3 DHA supplement for the vegans and vegetarians. It is a 100% natural, pure and vegetarian dose of DHA. OVEGHA is registered by the Vegan Society – UK, and is appropriate for vegans. A low fat or fat free diet isn’t essentially a good diet. Your body needs fats for smooth functioning just as it needs carbohydrates and proteins for energy and strength. What matters is the type of fat we allow into the system. The bad – the trans and saturated fats – they increase your body’s susceptibility to disease. The good fats include monounsaturated and fats contribute several benefits for healthy dynamics of the body. The two main types of PUFA (polyunsaturated fatty acids) include Omega-3 and Omega-6 fatty acids. These essential fatty acids must be present in your body in the right ratio. They cannot be synthesized by the body hence they need to be acquired through your diet. Omega-3 is a group of polyunsaturated fatty acids which are essential as nutrients for the body. They include ALA (Alpha-linolenic Acid), EPA (Eicosapentaenoic Acid) and DHA (Docosahexaenoic Acid). As these cannot be made by the body, we must acquire them from our diet. Foods such as sunflower, hemp, flaxseed, walnuts and vegetable oils and green leafy vegetables have omega-3. These sources provide us mostly with ALA.
ALA is the short chain parent omega-3 fatty acid, which is converted to EPA and further converted to DHA – a long chain fatty acid. However this conversion is not very efficient and a very low percentage of ALA is converted to EPA and DHA. This is far lesser than your body’s requirement for this nutrition. Since DHA is the most important fatty acid it is beneficial in many ways throughout life, supplements make a difference in physiological and mental health. Omega-3 DHA supports the functioning and development of the brain, heart and eyes. Why do I need Omega-3 DHA? Omega-3 DHA is the most important PUFA supporting the function and development of the brain and eyes. It is also plays a major protective role in cardiovascular health. Brain: DHA is of near absolute necessity for the development of the sensory, perceptual, cognitive and motor neural systems. It enables the optimum functioning of the nervous system by improving the messaging of signals between neurons in the brain. Heart: DHA has been credited with being a key component of the heart, especially in the conducting tissue. 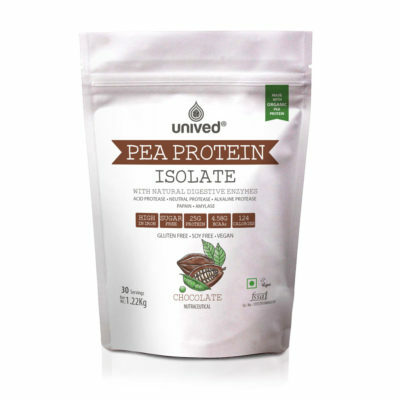 It helps maintain normal triglyceride levels, heart rate, and blood pressure. Eyes: DHA comprises 93% of omega-3 in the retina. It plays an important role in visual development and visual function throughout life. DHA also has positive effect on conditions such as hypertension, arthritis, atherosclerosis, depression, adult -onset diabetes mellitus, myocardial infarction, thrombosis and some cancers. How is OVEGHA different from fish oil supplements? 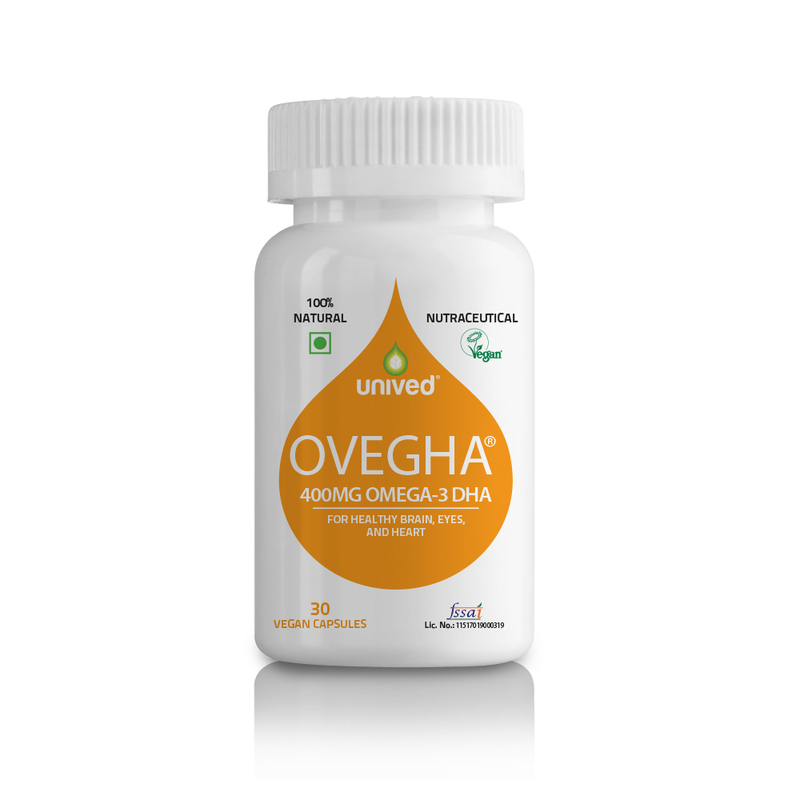 OVEGHA contains algal oil derived from micro-algae which are the most primary and direct source of DHA. 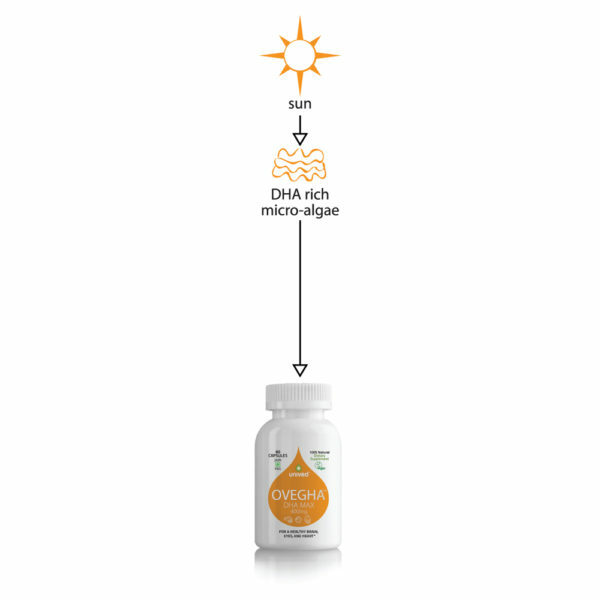 OVEGHA thus offers vegan omega-3 DHA derived from a more direct source which is fermented under controlled conditions. The oily fish get their DHA from the smaller fish and other marine creatures which feed on DHA. They do not synthesize their own omega-3 DHA but in fact get it from their food chain. Moreover the fish often contain sea borne contaminants which have to be purified in order to make them safe for consumption. How much OVEGHA do I need daily? As a dietary supplement, adults may take two capsules a day, post meals. Pregnant and nursing women may consume two capsules a day post meals. OVEGHA has no known side-effects and is safe for consumption for everyone including children, adults, pregnant women and the aged alike. Why is Algal oil a better source of DHA than Fish oil? The fish are not the original source of omega-3 DHA, since they do not synthesize within their system. They get DHA from their food chain, when they consume the smaller fish and other sea creatures that feed on the DHA rich algae. By the time this DHA reaches you it has already climbed up two steps of the fish food chain, used by the fish until it is caught, remains inside the dead fish until it is cut open, processed for the removal of contaminants and followed by extraction. Another concern is that some people find it difficult to digest fish or fish oil. Also, fishy burps almost always accompany fish oil supplements. Furthermore, the hazardous contaminants such as arsenic, cadmium, lead and mercury that reside within the fish make them risky for consumption. Algae make their own DHA and are in fact the primary source of DHA for the fish and the marine creatures. DHA derived from this source is more direct and pure. It is also a more sustainable source. Why can’t I get my omega-3 DHA from flaxseeds or walnuts? It is true that flaxseed, hemp, walnuts, green vegetables, soy or chia seeds etc. are all incredibly nutritious and rich sources of omega-3 fatty acids. However the concern with these sources is that only contain ALA. This ALA is then required to be converted to EPA and DHA. This conversion however is inefficient and a very low percentage of ALA gets converted to DHA. In fact research indicates that the conversion rate is 1% in infants and in adults it is much lower. Is it safe to take OVEGHA during pregnancy? Omega-3 DHA is widely acknowledged as beneficial for pregnant women and their babies. As it is an important element in brain development. During pregnancy the babies get their DHA from the mother’s intake. Hence it is important for women to consume DHA, especially in the third trimester when there is significant brain development of the fetus. DHA supplementation has also been credited with reducing the risk of preterm birth. may be useful in prolonging the duration of gestation in some higher-risk pregnancies. Yes it is quite beneficial to take OVEGHA vegan omega-3 DHA during pregnancy. Is OVEGHA safe for children? Yes, it is completely safe for children. In fact it is vital for the development of their brain and eyes. DHA is especially important during the first two years of childhood. You can opt for our OVEGHA DHA Kids, which is also made from algal oil a good source of DHA, the same that is used for infant formulas. Is OVEGHA suitable for vegetarians and vegans? Vegans and others who eat non vegetarian diet but do not consume fatty fish, have low DHA levels. Vegetarian omega-3 sources are flaxseed, hemp, chia, walnuts, and greens. But most of those sources give you ALA which has to undergo a complex process of conversion to DHA. Majority of vegetarian Indians who do not take DHA supplementation suffer from its deficiency. That is why OVEGHA is an excellent vegan omega-3 DHA supplement for the vegans and vegetarians. It is a 100% natural and pure and vegetarian dose of DHA. OVEGHA is registered by the Vegan Society – UK, and is appropriate for Vegans. Omega-3 can be found in flax, hemp, chia, walnuts, and greens. Oily fish are also a popular source. However, not all fish are a source of DHA. Only certain species of oily fish such as salmon, mackerel, herring, trout, sardines and pilchards etc. 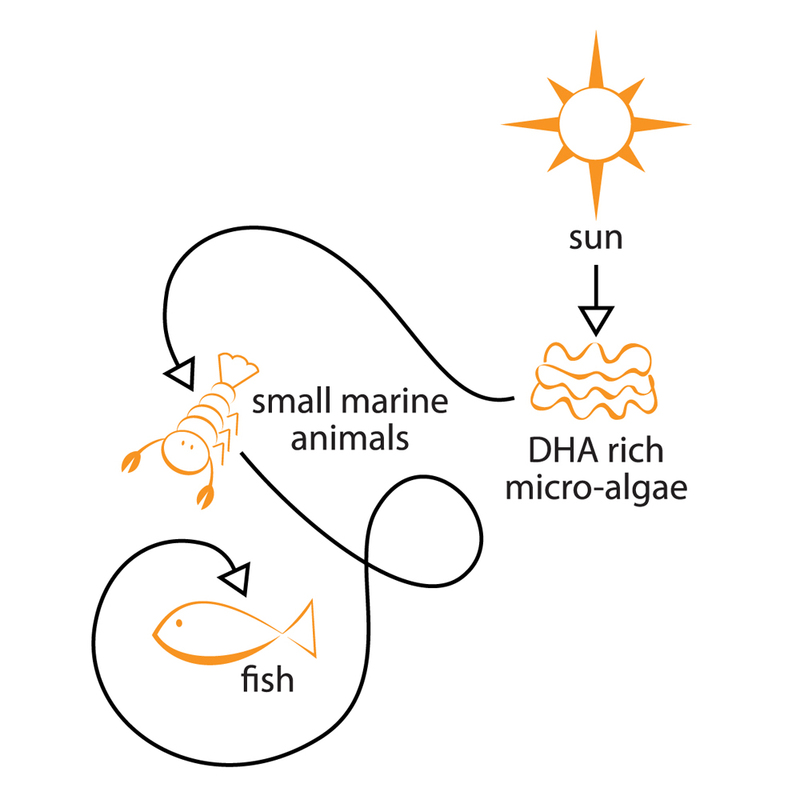 procure DHA from the small marine creatures they feed on who in turn consume DHA rich algae. The problem with the above vegetarian sources is that they contain ALA and its conversion to DHA is very low. Though the fish contain DHA, they can be risky for consumption due to presence of contaminants such as heavy metal, methyl, mercury and PCBs. Also, the oceans are suffering from depleting levels of the fish as a result of the demand for them as food and as source of fish oil. Is it true that OVEGHA is also beneficial for mental health? Studies have found proximity between the intake of omega-3 and human behavior. Omega-3 DHA is known to impact cell signaling, membranes and neurotransmitters. In fact researchers and experts have drawn an association between brain inflammation and depression. Post-traumatic stress disorder and postpartum depression also lead to chronic inflammation. 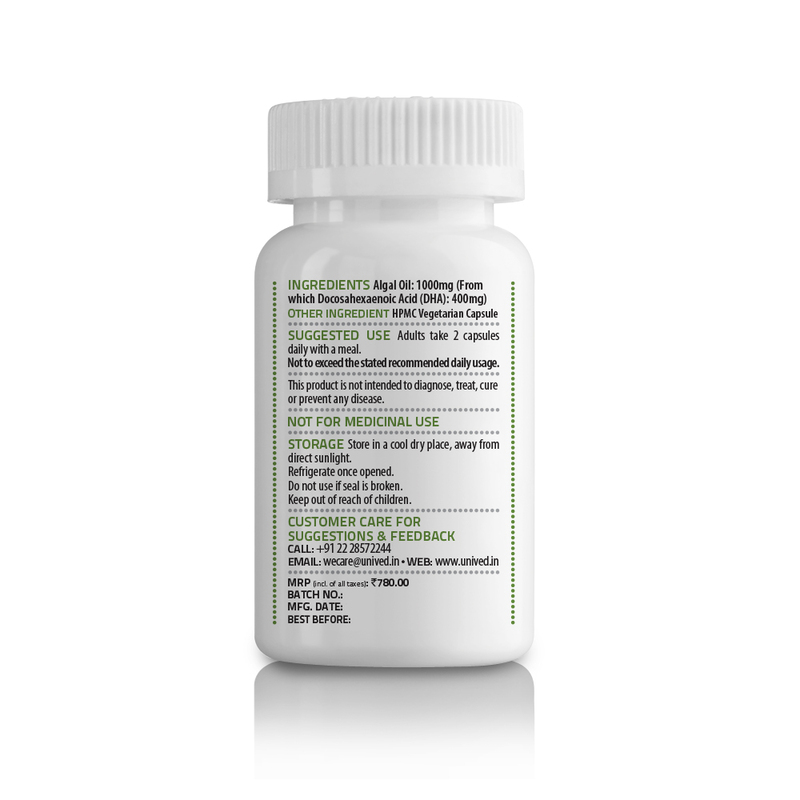 DHA addresses this inflammation and contributes to neural development and repair. Therefore DHA is an effective way to repair the brain damage caused due to chronic inflammation. Studies have also observed the effectiveness of DHA in addressing anger and hostility, mood disorders and aggression. What are the neurological benefits of taking fatty acids? Omega-3 and Omega-6 fatty acids play a vital role in the structural development of the membrane of every cell in the body, forming part of the phospholipid layer. Phospholipids are responsible for the smooth messaging of signals between neurons in the brain. Fatty acids deficiencies can be problematic to cell signaling thus impacting brain function. Brain activity may be impaired as a result of a fatty acids deficiency in the phospholipid layer. 1. DHA Supports Brain Development and Protects Neurological Function, By Russell L. Blaylock, MD: Parents should ensure that their young children consume at least 150 mg of DHA per day to support health. 2. DHA Supports Brain Development and Protects Neurological Function, By Russell L. Blaylock, MD: Healthy adults should consume 240-1,000 mg of DHA daily to protect their cognitive and neurological health. 3. Lena Burri, Nils Hoem et.al., Marine Omega-3 Phospholipids: Metabolism and Biological Activities, International Journal of Molecular Sciences, 2012. 4. Docosahexaenoic Acid (DHA, Alternative Medicine Review, Volume 14, Number 4, 2009). 5. Myers RA, Worm B: Rapid worldwide depletion of predatory fish communities. Nature 2003; 423:280-283. 7. Catherine Calzada et al., Subgram daily supplementation with docosahexaenoic acid protects low-density lipoproteins from oxidation in healthy men. 8. Meherban Singh, Essential Fatty Acids, DHA and Human Brain. 9. Lloyd Horroks and Young K Yeo, Health Benefits of DHA, Pharmacological Research, Vol. 40, No. 3, 1999. 10. Sanders and Younger 1980, Singer, Berger, Wirth et al 1986. 11. Emken, Adlof and Gulley 1994. 12. Brenna JT, Salem N Jr, Sinclair AJ, CunnaneSC:alpha-Linolenicacid supplementation and conversion to n-3 long-chain polyunsaturated fatty acids in humans. As quoted in Lipids in Health and disease by Breanne M Anderson and David WL Ma. 13. Dr. Michael Simpson, Omega -3 DHA and its Importance in Human Nutrition, September 2004. 14. Joan Bradbury, Docosahaxaenoic Acid (DHA): An ancient Nutrient for the Modern Human Brain. 15. Kirk Stokel, DHA an Essential Brain Food, Life Extension Magazine, November 2012. 16. Higdon J: Essential Fatty Acids. In An Evidence-Based Approach to Dietary Phytochemicals. New York, NY: Thieme; 2006: 78-99. 17. Clandinin MT et.al, Relationship between fatty acid accretion, membrane composition, and bilologic functions as quoted in Meherban Singh, Essential Fatty Acids, DHA and Human Brain. 18. Martinez M, Tissue Levels of Polyunsaturated Fatty Acids During Early Human Development as quoted in Docosahexaenoic Acid (DHA), Thorne Research Inc. Alternative Medicine Review, Volume 14, Number 4, 2009. 19. Kidd PM: Omega-3 DHA and EPA for cognition, behavior, and mood: clinical findings and structural-functional synergies with cell membrane phospholipids. Altern Med Rev 2007; 12:207-227. 20. Oken E, Belfort MB: Fish, fish oil, and pregnancy. JAMA 2010;304:1717-1718. 21. Essential Fatty Acids, DHA and Human Brain, Meharban Singh, Indian J Pediatr, 2005. 22. Stephen Daniells, Omega -3 levels linked to cognition and behavior in school children: Oxford University Study. 23. Andrew L Stoll, MD, The Omega 3 connection, pg. 40. 24. Burton Goldberg, Heart Disease, pg. 46. 25. Drover, James, Hoffman, Dennis, Castañeda, Yolanda, Morale, Sarah, Birch, Eileen. Three Randomized Controlled Trials of Early Long-Chain Polyunsaturated Fatty Acid Supplementation on Means-End Problem Solving in 9-Month-Olds . Child Development, 2009 September Volume 80, Number 5, pp. 1376-1384(9). 26. WelmaStonehouse et.al, ‘DHA supplementation improved both memory and reaction time in healthy young adults: a randomized controlled trial’, First published March 20, 2013, The American Journal of Clinical Nutrition. 27. Yehuda S. Rabinovtz et.al. Essential fatty acids preparation improves Alzheimer’s patients quality of life, INt J Neurosci 1996 Nov: as quoted by Russell L. Blaylock, MD, in DHA Supports Brain Development and Protects Neurological Function. 28. Dr. Fuhrman,DHA for prevention of Alzheimer’s disease and cognitive decline, http://ww.drfuhrman.com . 29. Russell L. Blaylock, MD, DHA Supports Brain Development and Protects Neurological Function. 30. Rosell, MS.; Lloyd-Wright, Z., Appleby, Sanders, Allen, Key; Londg Chain n-3 polyunsaturated fatty acids in plasma in British meat eating, vegetarian, and vegan men. Am. J. Clin. Nutr. 2005, 82, 327-334. : as quoted by Yukro-Mauro K et al. in DHA Supplementation Improves Memory in Older Adults, The Essentials of Health Newsletter. Zinc is an essential mineral for the proper function of the immune, endocrine, and other systems. 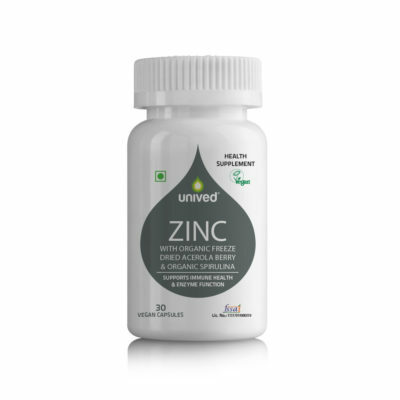 Unived Zinc features 30mg of Zinc from Zinc Citrate, 30mg of vitamin C from organic freeze dried acerola berry, and 160mg from organic spirulina. It is 100% vegan and gluten-free.